A.M. Boyle - A.M. Boyle is an author and freelance writer. Her preferred genres for both writing and reading are science fiction (speculative), fantasy (contemporary) and horror/psychological thrillers. Her first novel, TURN OF THE SENTRY was published in April 2009 through Wild Wolf Publishing, UK. It has since been rewritten with a new title (SENTRY’S PAST: Veil of Darkness) as part one of a trilogy. It was released on March 17, 2012 through the Wolf Pirate Project, a nonprofit organization committed to the promotion of literature as an art form. 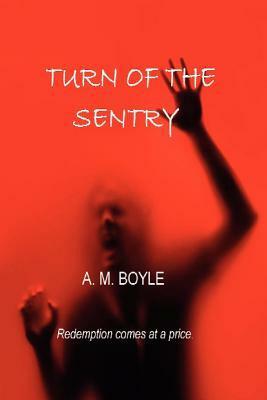 The second of the trilogy (SENTRY’S TIME: Veil of Redemption) is due out in the Fall of 2012. A former attorney, Ann escaped from the legal profession several years ago and now lives in South Jersey with her husband, two kids, two dogs and a one-eyed cat. When not writing, she enjoys reading (preferably on a beach somewhere with a frozen Margarita), music (both listening and playing) and surfing the web for mindless nonsense.